Greetings from Toronto Canada. I’m writing this while attending the 2018 Rotary International Convention. There are only a “few thousand” fellow Rotarians here from countries around the world. Different languages and cultures yet everyone is bound together by Rotary Blue and a common thread of service. Presentations and conversations about the condition of the world along with all that Rotary has and is doing to make a difference. I’m definitely feeling a part of something bigger than myself. I soon will return to home to Springfield and the privilege of serving one of the greatest groups of people I have ever been associated with. Being a part of Sunrise Rotary for the past 5 years has been such a positive experience for me. More importantly we have made a significant impact and created positive change in our community and the world. July starts the 2018-19 Rotary year and I’m excited to see what this year will experience through the efforts of Sunrise Rotary. This year I want to see us strive to make a MEASURABLE DIFFERENCE in all that we do. This would include service and activities for Catholic Charities of the Ozarks, I Pour Life, Wilson’s Creek School and Rock ‘N Ribs just to name a few. We have the privilege once again of supporting a high school foreign exchange student who will be with us right here in Springfield. Further our fundraising efforts and contributions to the Rotary Foundation and Polio Plus allow us to reach around the world. 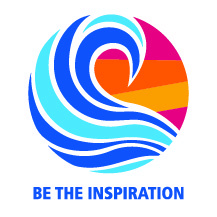 This year’s Rotary International slogan is “Be the Inspiration”. For those who are a part of Sunrise I thank you for being an inspiration to me and making our community and world a better place. You are an exceptional group of people. For those who may be looking for a place to serve, network and grow I invite you to have breakfast on us one morning and experience Rotary in a very special way. RI President Barry Rassin's theme for 2018-19, Be the Inspiration, asks Rotarians to inspire change in the world and in each other. "I ask all of you to Be the Inspiration to help Rotary move from reaction to action - to take a hard look at the environmental issues that affect health and welfare around the world and do what we can to help."